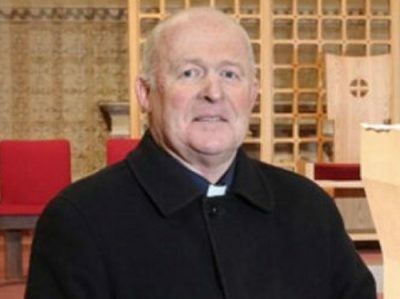 Monsignor Lawrence Duffy has been appointed the new Bishop of Clogher. Pope Francis announced the new appointment at noon yesterday, the Feast of the Immaculate Conception. Archbishop Eamon Martin welcomed the appointment with a prayer that the Blessed Mother Mary would watch over and guide the bishop-elect. “I offer my prayerful good wishes also to his family, friends and to all the faithful of the 37 parishes of Clogher,” Archbishop Martin said. The see of Clogher has been vacant since 2016 when Bishop Liam MacDaid retired on health grounds. Since then Monsignor Joseph McGuinness has been acting as diocesan administrator. Monsignor Duffy was born in 1951 to Thomas and Elizabeth Duffy of Magheracloone, one of a family of five children. Known as Fr Larry, he has been parish priest of Carrickmacross, Co. Monaghan since 2013. The bishop-elect was ordained in 1976, and since then has served in various parishes of the diocese including Enniskillen, Castleblayney, Monaghan & Rackwallace, Ederney, Clones and Carrickmacross. In addition to his ministry in the Diocese of Clogher, Monsignor Duffy spent four years ministering in the Diocese of Kitui in Kenya where he led the building of a new church in Mwingi. A parishioner who knows him well, also through his strong connections with the GAA (for which he played), described him as a “lovely, no-nonsense man”. “He gives very short sermons that hit home. He is really a priest who connects with people,” the parishioner said. The episcopal ordination will take place in Saint Macartan’s Cathedral, Monaghan, on Sunday, 10th February 2019 at 3pm. The Diocese of Clogher, with a Catholic population of 88,000, takes in all of Co. Monaghan, most of Fermanagh and portions of Tyrone, Donegal, Louth and Cavan. It has 37 parishes, and is served by 58 priests and two deacons.